As a mountainous border province, Kon Tum is located in the Central Highlands strategic region, and shares its 280.7km common border with three southern Laotian provinces of Attapeu, Sekong and Champasak and Cambodian province of Ratanakiri. Over the past years, under the leadership of Party Executive Committee and High Command of the Military Region No.5, especially Kon Tum provincial Party Executive Committee, People’s Council and Committee, Kon Tum provincial Military Command (hereafter PMC) has closely cooperated with provincial departments, branches, and sectors in counselling local party committees and governments to properly and comprehensively implement defence and military missions as evidenced by the successful execution of 2017 provincial defensive area exercise (hereafter the exercise), thereby contributing directly to strengthening national defence; reinforcing provincial defensive area; firmly maintaining political security and social safety and order; and creating an enabling condition for provincial socioeconomic development and improving living standards of people from all walks of life, especially ethnics in remote, isolated border areas. 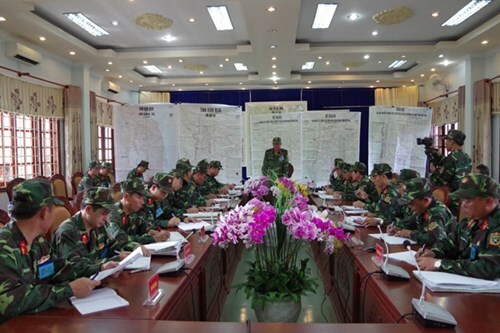 Shortly after the Directive on the execution of provincial defensive area exercise had been issued by 5th Military Region High Command, the Provincial Party Committee and People’s Council concentrated their leadership and direction on designing plans, and conducting the exercise in accord with Military Region’s intent. Under the motto “practical, effective, secret, safe, economical”, the relevant forces promoted their proactiveness and sense of responsibilities to make elaborate preparations and strictly and scientifically conduct the exercise which was highly lauded by Military Region High Command. The success of the exercise truly helped enhance a greater sense of duties and responsibilities towards local defence and security missions under Resolution 28-NQ/TW by the Politburo (10th tenure) on “Continuously building provinces and centrally-controlled cities into strong defensive areas” amongst a key pool of all-level cadres of provincial departments, branches, and sectors, and cadres and party members, armed forces and people. The accomplishment of the exercise resulted from multiple factors with proactive preparations made by the provincial authority coming first. Right in early 2017, the provincial Military Command proactively collaborated with relevant departments, branches, and sectors in counselling the Standing Board of Provincial Party Committee to promulgate a Directive on the execution of the exercise and a steering board ensued. Pursuant to the Directive, the Steering Board formed a sub-Board of content, a sub-Board of Logistics, a Group of Secretaries, and a Team of cadres; issued regulations on a series of exercise documents and safety standards; formulated plans and assigned every member of the Steering Board a specific task regarding the execution of the exercise. 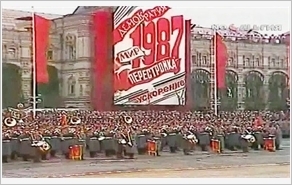 Subsequently, the Provincial People’s Committee promulgated various schedules concerning the organization of the exercise; the Provincial Military Party Committee put forward a special resolution on leading the armed forces, and established an organizing Board with assistant sub-Boards in charge of preparing for the exercise. Grounded in the Military Region’s intent, the Provincial People’s Committee delegated concrete tasks to every relevant force, and briefed and educated every cadre, party member, and force about objectives and requirements of the exercise for the sake of greater consistency in awareness and determination to accomplish the exercise. Strictly following the directions of the Military Region, PMC collaborated with provincial departments, branches, and sectors in working out exercise intentions whilst cooperating with the Military Region’s offices in holding preparatory courses for a contingent of cadres of provincial departments, branches, sectors, and mass organizations in a bid to not merely render them conscious of their duties and responsibilities, but provide them with basic knowledge of local defence and military missions. A novel feature of this exercise was that instead of assisting provincial departments, branches, sectors, and mass organizations in making preparations pertaining to content and documents of the exercise, PMC only played a supporting role in evaluating their documents of the exercise whose content must be in tandem with their own function and missions. Accordingly, provincial departments, branches, sectors, and mass organizations proactively formulated and revised a set of documents in accord with the exercise’s requirements as well as provincial particular situations. Following 6-month plus preparation process, provincial party offices, governments, Homeland front, mass organizations, and armed forces devised nearly 860 assorted documents in line with training intent and local particularities. In the face of overwhelming odds, almost all cadres and soldiers promoted their sense of duties and responsibilities, and accomplished their assigned tasks. The forces preparatory to field grounds mobilized 16,600 working days to build shelters, a system of fortifications, etc., in field training areas. Notably, while making preparations pertaining to the execution of exercise, the relevant forces also carried out mass mobilization, namely visiting and presenting gifts to families of policy beneficiary and penniless households, and holding Mid-Autumn Festival for children in Dak Ro Nga Commune, Dak To district. The Provincial authority paid due attention to making elaborate preparations concerning the work of logistics. In addition to adequately supplying necessary equipment and facilities in headquarters, diorama, halls, meeting rooms, PMC proactively collaborated with provincial Public Security and other relevant sectors in equipping field training areas with modern system of communications. The work of protecting security and classified documents was strictly implemented in line with the Military Region’s regulations. In terms of the execution of the exercise, on the basis of Resolution No. 28-NQ/TW by the Politburo and exercise situations, the provincial exercise team underwent stages of turning to combat readiness mode; bringing the locality to a defensive state; and conducting defensive combat. Provincial Party Committee and its Standing Board’s meetings were strictly held in a procedural and democratic fashion; relevant forces properly performed their role in proposing appropriate solutions to exercise situations in line with local realities. Provincial departments, branches, and sectors proactively counselled Provincial Party Committee and its Standing Board to lead and direct the execution of the exercise in conformity with their own function and tasks; proactively amended and supplemented their plans in tandem with the Steering Board’s ones. In parallel with leading and directing their affiliates to procedurally carry out the exercise, PMC, Provincial Border Guard Command, and Public Security promoted their core role in closely cooperating with relevant agencies in advising Provincial Party Committee, People’s Council and Committee to properly deal with arising incidents; to size up and predict situations, and put forward specific solutions in line with their function and missions and situation developments in each stage. In view of field training for martial law, PMC proactively formulated mock plans and situations in which an infantry regiment imposed martial law in Kon Tum city; procedurally implemented field training and dry run in line with relevant forces’ function and missions and local realities. For field training content, the Provincial Public Security actively worked out mock plans and situations in accord with its function and professionalism, namely preventing protest rally from flocking to the city centre; arresting suspects and releasing hostages; deploying forces and vehicles to engage in search and rescue activities, etc. In terms of live fire field training, there was close coordination amongst PMC, Provincial Border Guard Command, and regular, reserve, and militia forces of districts of Ngoc Hoi, Dak Glei, and Dak To on a basis of higher echelons’ exercise intent; simultaneously, PMC examined and constructed a simulation shooting training ground over mountainous terrain. During live fire stage, commanders took prompt action, and facilitated close timely coordination amongst relevant forces in defensive areas. Live fire result was highly lauded technically and tactically by the Military Region. In spite of some limitations, the 2017 provincial defensive area exercise ended in success. Some experience has been drawn from the reality of the execution of the exercise as follows. 1. Provincial party committees, governments, departments, branches, mass organizations and relevant forces were properly propagated and educated about tasks of the exercise. Emphasis was placed on closely sticking to the Party guidelines and resolutions on building and operating defensive areas as a key and routine mission of party committees, governments and the entire political system, thereby creating a greater consistency in awareness and actions towards the building of defensive areas amongst cadres, party members, and people from all walks of life. 2. Thorough preparations were made for the exercise pertaining to human resources and materials. Great attention was paid to streamlining all forces’ organization, promoting intensive training, clearly delegating every relevant force a concrete task, and specifically designing the exercise’s plans with tight deadline. Due regard was devoted to giving detailed instructions on building and fully equipping civil defence forces, particularly the force deployed to deal with a possible incident of chemical leak in the area in peacetime and wartime alike whilst actively precluding hostile forces from using psychological and cyber warfare to not merely sabotage our country ideologically and psychologically with a view to chipping away at public trust in our Party, State and regime, but incite a portion of the masses to rally and disrupt political security and social order and safety via social networks. 3. The core role of PMC, Provincial Public Security, and Border Guard Command in counselling, coordinating and conducting the exercise and handling situations was brought into play. The exercise was executed in a comprehensive focalized fashion in accord with the exercise’s intent and local realities. 4. At the end of the exercise, it was necessary to opportunely learn from experience and propose leadership, direction and implementation solutions. It was essential to work out shared mechanism and relationship between unified Commanding Board and Defence Emergency Operation Centre towards dealing with military and security situations.